When you have finally managed to begin selling your products either home or abroad you need to start thinking about how much it is actually costing you to do so. This is important as it will help you get an overall picture of how much you are spending and how much you are making per unit. 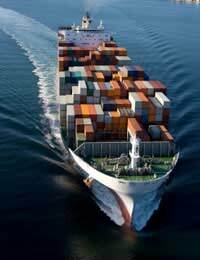 Many companies find that they make more money by exporting their products to other countries for sale. This sometimes is very much the case depending on the value of the pound against other currencies and can mean a considerable difference in profit margin and also costs. Exporting your product should be something that you consider only after having made sufficient enough sales in the domestic market - i.e. : the country in which you manufactured and sold your product initially. Before we market our products in other countries - and indeed export them to those countries - we must first endeavour to produce figures that will make investors happy and also make the export a worthwhile endeavour to begin with. This is done by carrying out market research in the countries you plan to export to and also to find the best suppliers and manufacturers you can. It is a common misconception that cheapest is always best - this is not the case and sometimes the less an item costs to produce the more flawed the workmanship can become thus leading to returns and ultimately a vast reduction in profit. In the same way it is important to ensure that what you pay for export is not too little thus leaving you and your company open to difficulties moving your product from place to place and also selling it when it gets there. It is wise to check and recheck any such figures before entering into any firm commitment. RRP (Recommended Retail Price) is also something that you give considerable consideration to; this is the price that your company recommends retailers sell the product to the public at. However this is open to negotiation and sometimes the RRP (Recommended Retail Price) is there as nothing more than a guide price with retailers working to their own margins for profit. In business profit is important but not at the extent of quality or commitment. Another important factor in covering the costs of the export of your product is the exchange rates. Everyday there are fluctuations in the exchange rates of the pound against the Euro and against the dollar so it is always advisable to keep a close eye on the exchange rates and to act when the rate of other currencies against the pound are low. This may sound as though it is wrong but the truth of the matter is if a currency is exchanged low against the pound it becomes less expensive to do business abroad. This is something that many businesses pay close attention to especially if they regularly ship goods abroad or pay manufacturers in other countries for work carried out on their products.